New York: Simon & Schuster, 1968. First edition of this classic work, which is regarded as one of the great pieces of chess literature. Octavo, original half cloth. 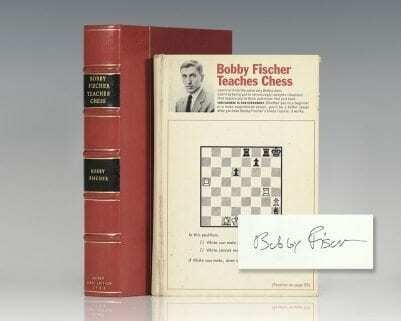 Boldly signed by Bobby Fischer on the front free endpaper. Introduction by Grandmaster Larry Evans. 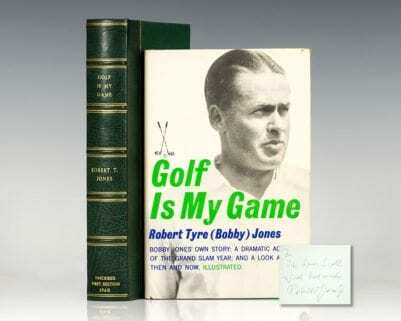 Fine in a near fine dust jacket. Jacket design by Carl Smith. Housed in a custom half morocco clamshell box. 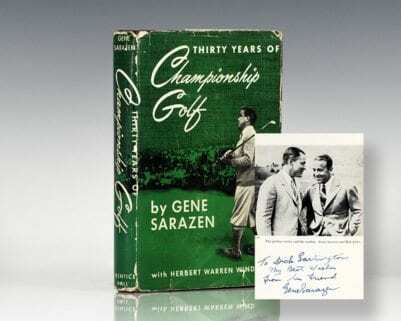 An exceptional example, uncommon signed. 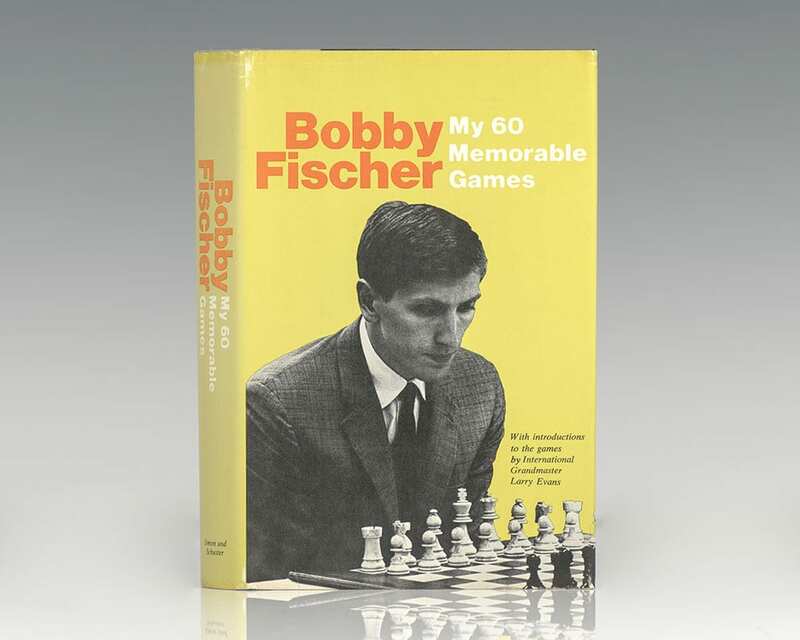 One of the most historically significant chess books written, My 60 Memorable Games is an enhancement of the original title, Bobby Fischer's Games of Chess. 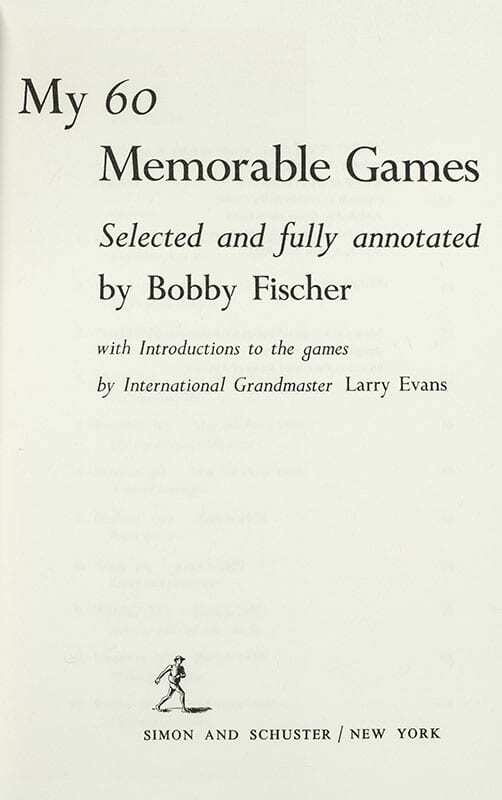 It is improved with even more game reviews, and it is written at a later point in Fischer's chess career from which he gives even greater insight. Fischer, Bobby and William Lombardy. Bobby Fischer and William Lombardy Autographed First Day Cover. Bobby Fischer and William Lombardy, who wrote (sole coach!) 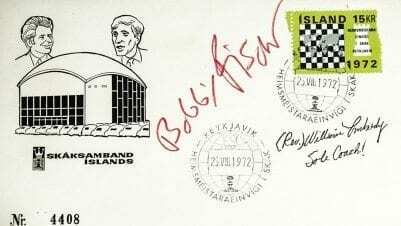 Signed First Day Cover honoring the Spassky Fischer championship in Iceland, postmarked August 25, 1972 Reykjavik. It measures 3.5 inches by 6.5 inches. In fine condition. New York: Basic Systems, 1966. First edition of this definitive work on how to play chess. Octavo, original illustrated boards, illustrated throughout. 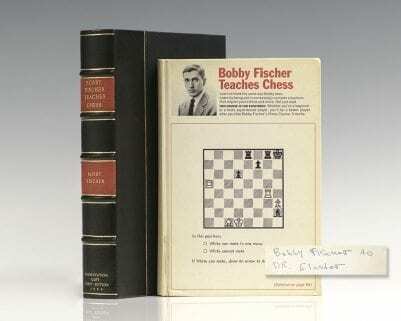 Boldly signed by Bobby Fischer on the front free endpaper. In very good condition with some rubbing to the extremities and toning the spine. Housed in a custom half morocco clamshell box. Books signed by Fischer are scarce. First edition of this definitive work on how to play chess. Octavo, original illustrated boards, illustrated throughout. 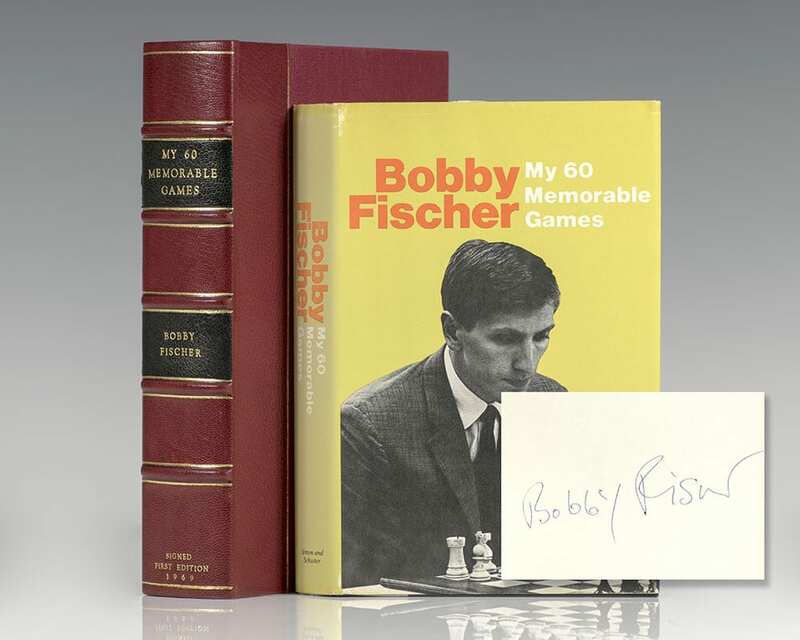 Presentation copy, boldly inscribed by the author on the front free endpaper, “From Bobby Fischer to Dr. Eleander.” In near fine condition with very light shelf wear and toning the spine. Housed in a custom half morocco clamshell box. Books signed and inscribed by Fischer are rare.